You hear about constitutional rights, free speech and the free press. 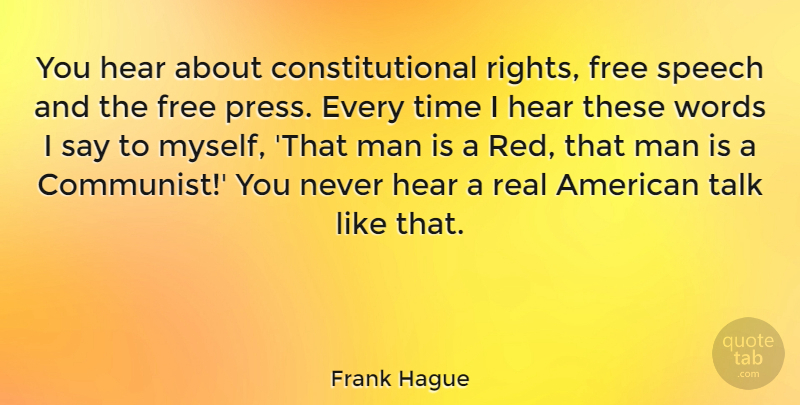 Every time I hear these words I say to myself, 'That man is a Red, that man is a Communist!' You never hear a real American talk like that.